A Michigan teacher lost her job when she refused to give her school district her Facebook password. What prompted the school district to ask for her password? Hester posted a picture of a co-workers’ shoes and pants bunched around her ankles on Facebook in April 2011 with the caption, “Thinking of you.” She posted the picture in jest, but a parent who’s on her Facebook friend list saw the image and reported it to Frank Squires Elementary where Hester was employed, prompting the investigation. Part of the letter read: “… in the absence of you voluntarily granting Lewis Cass ISD administration access to you[r] Facebook page, we will assume the worst and act accordingly.” Lewis Cass wanted to put Hester on a paid administrative leave before they fired her, but she chose to go on an unpaid leave because she believes she did nothing wrong. She plans to use the letter she received to sue the school district. This would be hilarious if someone’s livelihood was not being jeopardized. 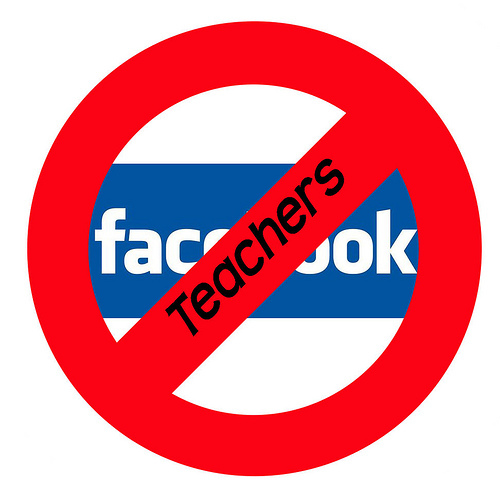 New York City, as well as many other school districts, does not have a written Facebook policy for teachers. This means that whatever the policy is has to be worked out on a case-by-case basis through the setting of precedents. I was told from a pretty reliable source that principals in NYC are under direction to report any Facebook-related incidents immediately. The DOE conducted a witch hunt against Christine Rubino and, this coming Wednesday, another teacher faces termination for a Facebook status taken the wrong way. The DOE seems to be spending a lot of resources and time on regulating the goings-on of teachers on the internet. There has to be a reason for this. It cannot be that they just want to get rid of veteran teachers who cost too much. There are so many other easier, time-tested ways to go about doing that. The DOE seems to have much more at stake in prosecuting Facebook incidents. There is no ignoring that our school system is run by Michael Bloomberg, a billionaire media mogul and darling of the corporatist forces. Giving him control over a municipal workforce of millions of workers gives him a type of far-reaching power that few people could ever dream of. The public workforce has always been the baseline for the private workforce. As the rights of public workers have been stripped away over the past 35 years, so have the rights of the private sector workforce. If the largest school district in the country can fire teachers for what they say on Facebook, they send a signal to the rest of the country that it is ok to do the same. This is why the DOE has no written Facebook policy. They want to forge one by firing teachers for Facebook incidents as they come up. It sets a precedent for other teachers as well as other workers in general. It gives heart to employers everywhere that it is ok for them to do the same to their workers. So any teacher who gets into trouble for some trivial Facebook nonsense needs to fight like hell. It is not only their own careers that are at stake, but the careers of millions of workers around the country as well. This is a dark lesson about how far employers are willing to go in order to muzzle the free speech of their workers. It is a lesson in the unfreedom of the American workplace, a nether world where many Constitutional liberties are put on hold in favor of securing the rights of employers. If you’re a boss and you’re worried about what your employees say on Facebook, perhaps you should not be in charge of people’s livelihoods. You are way too petty and paranoid to have any type of power. This entry was posted in An Embattled Career, education reform, Politics, School and tagged Education Reform, Employers and Facebook Passwords, News, School, Teachers and Facebook, Teaching, Worker Rights, Workers and Facebook. Bookmark the permalink. Teachers, and everyone else, should think long and hard about whether they really want to be one of Mark Zuckerberg’s “Dumb F—s,” his term for Facebook users when he was at Harvard.